I've been doubtful for a long time that the zipper on the page is really the No. 2. But the picture was too small to check the details. Then I got the following enlarged image of the original No. 2! It seems to be ... the No. 3, not the No. 2. Can you tell the difference bewteen the following pictures? Very sutle, but the shapes of the tooth are different. 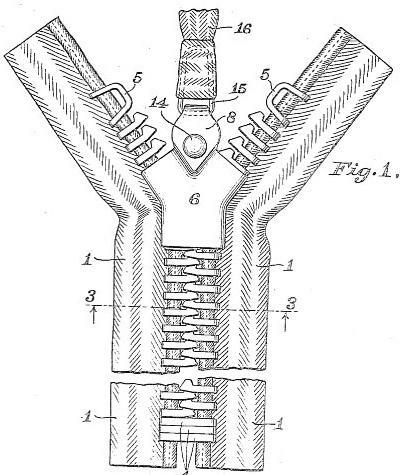 The bottom of the center of the tooth on the right patent was slightly cut. 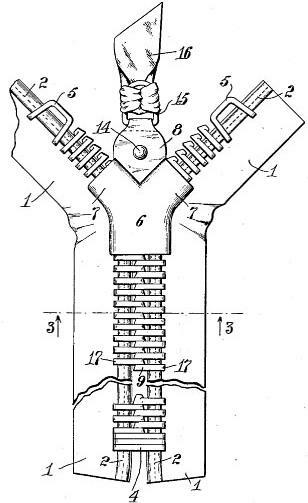 Professor Friedel of the University of Maryland, wrote in his book "Zipper,"
in which the design of the scoop in the No. 3 was modified, ... "
Please refer to his book to page 264. Mr. David Conner is the late vice president of the former Talon. because they probably thought there was no big difference. But why, then, was the new number "three" put on the modified zipper? I specurate that the change of a mold had showed a big difference. The firm had to change molds to produce new shaped tooth; No. 3.
was just a small town factory with about 20 people in total. Using the No. 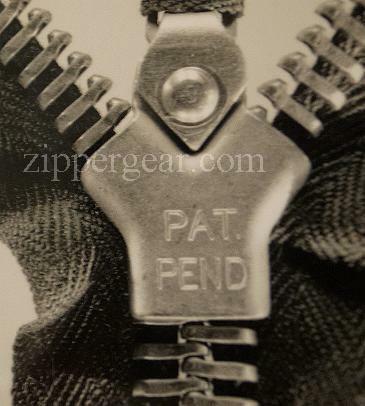 3 brought in some improvements on zipper's flexibility. Hookless Company couldn't see any merits to differ them. As a result, the No. 3 had remained missing in history. when I succeeded in intereviewing him in 2006. Also there were many other things that I had to figure out with his support. because he passed away two years later (in 2008). I could recognize it; either the No. 2 or the No. 3.
when their storage or something was moved out several years ago. I hope it is not true, but I'm too scary to ask them what the truth is. before it even see inside of the book with the reason it is written in Japanese. I feel very sorry that the Smithonian doesn't seem to be passionate enough about the zipper. for both collectors and researchers.